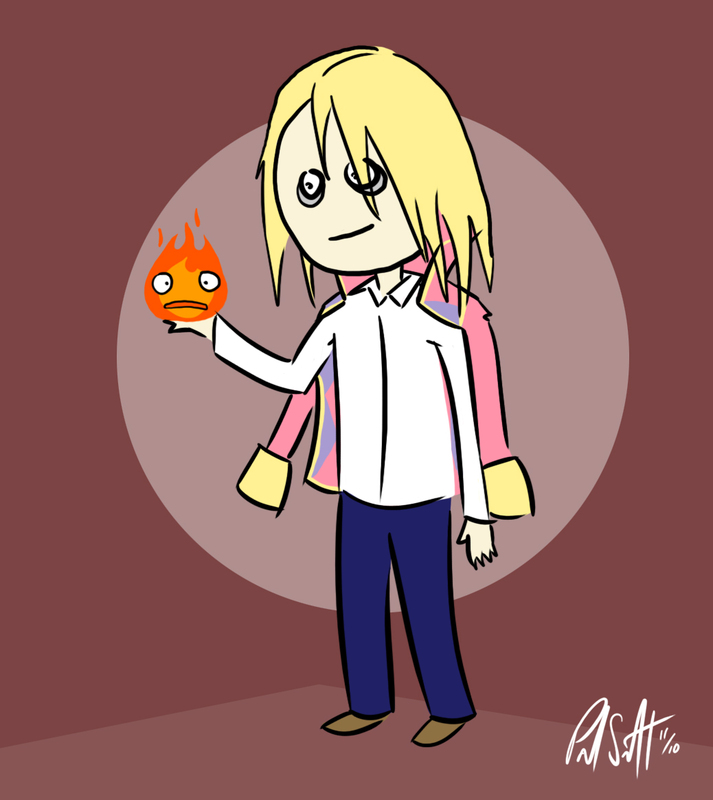 I drew this for the Illustration Friday topic, burning. This is a drawing based on the Studio Ghibli film, "Howl's Moving Castle". It's Howl holding Calcifer. I recognised the anime straight away without reading your description excellent job. Howls moving castle was a superb anime and yours is a superb painting. Nice one! I've never seen the movie, but I like the little flame guy.